Eduardo Ramírez Villamizar studied architecture, art, and decoration at the Universidad Nacional de Colombia (Bogota, 1940-1946). He started painting in an expressionistic figurative style and dealing with social or religious subject matter. 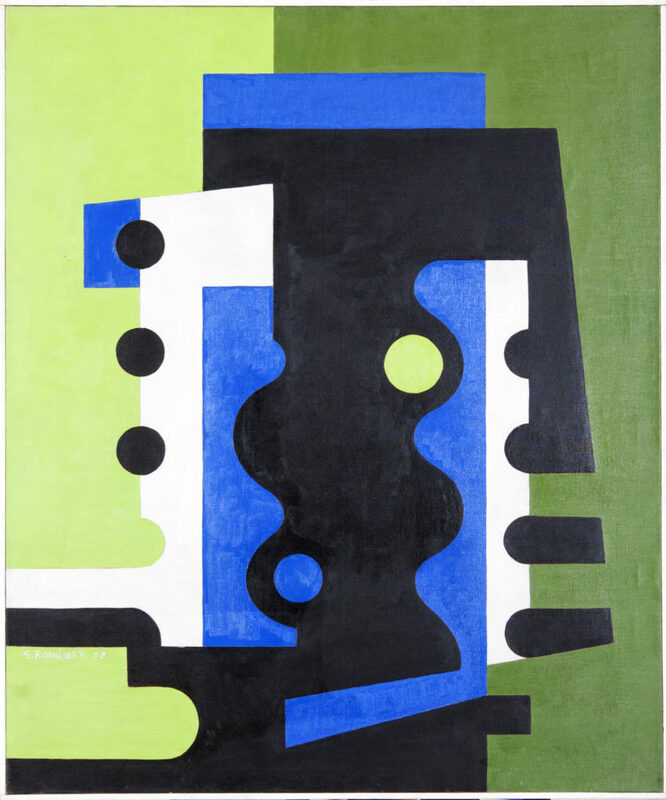 The forms became progressively simplified as he was influenced by Cubism and abstract art. During a period of study in Paris (1950-1952), Ramirez Villamizar became acquainted with the works of a group of contemporary artists and began to investigate the aesthetics of geometric abstraction. During the following years, in Colombia (1952-1954), Paris (1954-1956), and New York (1956), he continued to develop his own aesthetic language by experimenting with pure geometric forms, as well as tensions and balances between black and white planes. After returning to Colombia, Ramirez Villamizar made his first two murals: Composicion en ocres (Compañía Bavaria, 1957) and El Dorado (Banco de Bogota, 1958). The latter, built with geometric forms and covered with gold leaf that stood out from the background, was inspired by the reliefs found in colonial churches. Ramírez Villamizar, began to concentrate his attention on the production of monochromatic reliefs. 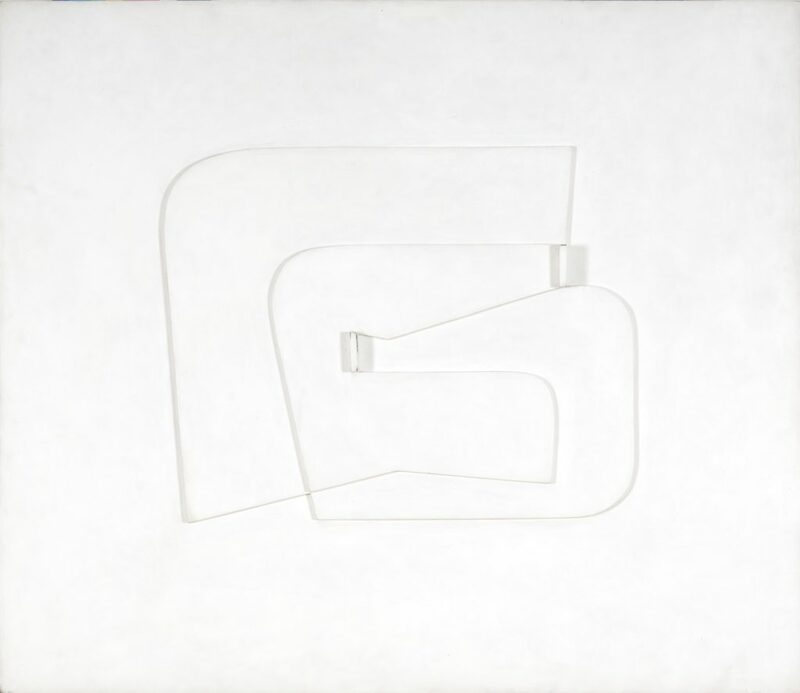 His work of this period is exemplified by the series Serpiente precolombina, which included works of small format and monumental scale, and Homenaje al poeta Gaitán Durán (1964), a combination of two superimposed reliefs that combined to create a = white, horizontal sculpture with little depth. In 1967, after settling once again in New York, Ramírez Villamizar dedicated himself to his sculpture in the round. His Column (American Bank, 1967) was the first monumental work he made in the United States. The sculptures of this period had great dynamic and rhythmicsense, with planes and forms that seemed to move through space. Some had a floating aspect, which was obtained by the virtual elimination of their support. In 1969, he represented Colombia at the 10th Biennial de São Paulo, where he was awarded the second international prize. During the early years of the 1970s, he produced numerous monumental sculptures in the United States, among them De Colombia a John Kennedy (Kennedy Center, Washington D.C., 1973), a gift from the Colombian Government to the American nation. The slant of the volumes manifested in this piece became a fundamental characteristic of his later work. In 1974, he returned to stay in Colombia and subsequently produced several sculptures for public spaces, among them Nave espacial (Centro de Convenciones Gonzalo Jiménez de Quesada, Bogota, 1978). He participated in the Biennial de Venezia in 1976, with slanted sculptures supported by their edges. In 1990, the Museo de Arte Moderno Ramírez Villamizar was founded in Pamplona, Colombia, to house and display an important selection of Ramírez Villamizar’s works. Subsequently, his work became widely recognized at the national and international level, while the artist continued making monumental sculptures, including Espejo de Luna (World Center, Bogota, 1989) and Doble Victoria alada (Avenida del Dorado, Bogota, 1994).